So what makes REO camp so special, aside from the great activities? First of all, the volunteers! At REO camp, you won’t find high school instructors in need of a summer job, making minimum wage. You will find both male and female sportsmen and professionals who give their time, free of charge, because they are passionate about the future of our children and passing on the hunting heritage. To put an event like this together, there’s easily more volunteers, sponsors, and instructors than there are participants. The people involved care about the wellbeing of the campers, they want them to succeed, and they find great joy in introducing them to their favorite outdoor hobbies. I know I can speak on behalf of the other volunteers when I say, we’re already excited to volunteer at next year’s camp! 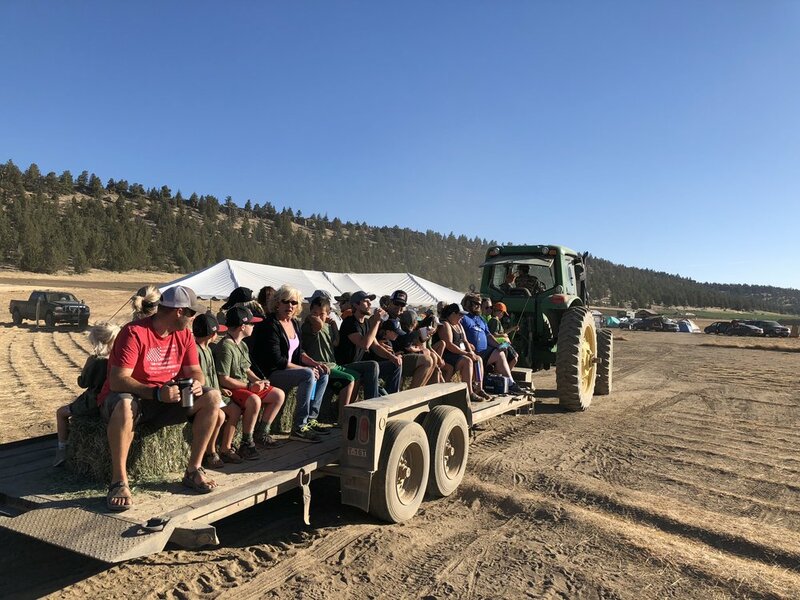 Another reason REO camp is different than other summer camps is that campers attend with their families, or a supervising adult. Families can either throw out a tent or pull a camper, but they come as a family and stay as a family. As a parent, it’s one thing to send your child to camp and receive a sub-par summary when they return home, but to be a part of the camp and watch them learn and grow is really unique. I believe that the likelihood of the child continuing on with their new outdoor skills is much higher when the parent is actively involved. I had multiple conversations with parents during camp about what gear to purchase for their kids after camp. 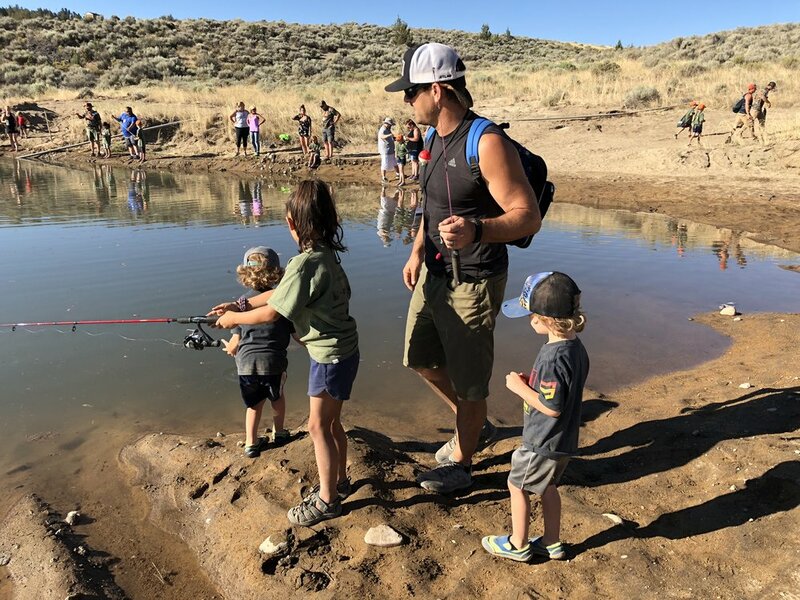 It meant that what we were doing at REO camp was working and future hunters and anglers were being born. I was honored to volunteer at the archery range during the Oregon REO camp this summer. We began each class with a basic safety and fundamentals lesson, and then transitioned onto a 3D archery course. 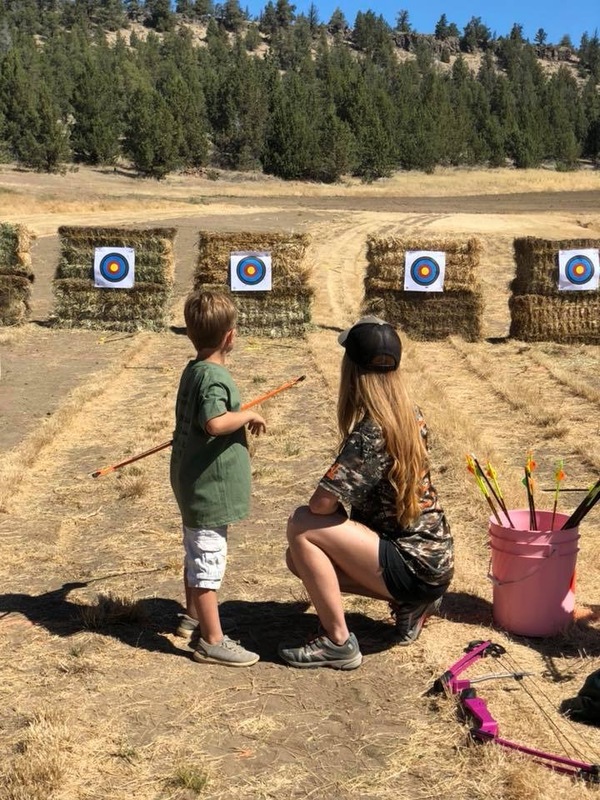 The targets ranged from dinosaurs, to skunks, to full size bull elk, which were all graciously lent to us by the Southwestern Oregon Bowhunters Association. I had many kids tell me that the 3D course was their favorite part of camp and I’m not surprised! Their smiles gave it away when they shot at the giant velociraptor target! There are a couple things that really stuck with me from my time on the archery range. First, when you invest in kids, believe in them and encourage them, they WILL thrive. There was an enormous difference in the campers from day one to day two. By day two, they were eager to shoot, there were more focused, they wanted to succeed and they did! My second takeaway is simple, talk to your kids. While we were out shooting the 3D course, it was really fun to have side conversations with the campers about hunting. We talked about processing wild game meat, shot placement, rifle hunting vs. archery hunting, and hunter ethics, among other things. Kids are like sponges and they are soaking up so much information at all times. In today’s world, kids and adults are receiving the majority of their information from social media and online networks that we all know aren’t very pro-hunting or pro-gun. We need to do our part to educate our kids while we have the opportunities! Like a said before, REO camp is on another level of summer camps! It’s not just a place to send your kids to keep them busy for the summer, it’s so much more. Many of the kids came to camp with a previous knowledge of hunting, fishing, and shooting, but many had not. Camp is a place for children, experienced or not, to come learn, connect, and have fun with their families. 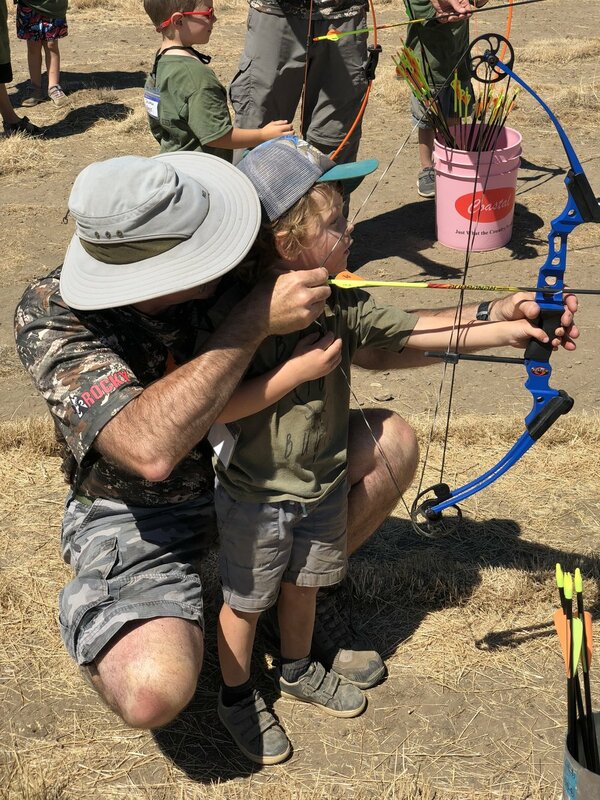 As stated on the REO website, their mission is simple, “We aim to help ensure more families and children can get the tools they need to make the outdoors they already love or hope to learn about, more enjoyable.” If you would like to learn more about Raise ‘Em Outdoors, please visit, www.raiseemoutdoors.com. There are so many ways to get involved from being a camp volunteer, to donating to their “Outfit A Kid” program, to supporting them financially through monetary or gear donations. Every little bit helps. The skills taught and passed on at Raise ‘Em Outdoors Camp are irreplaceable skills that campers can carry with them for a lifetime.